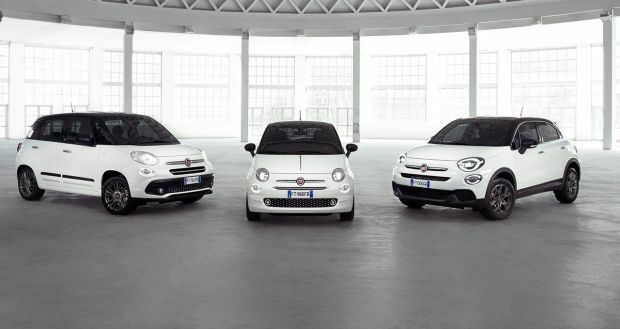 The 500L special edition is the latest addition to the Fiat S-Design family, which already includes the 500X, the Tipo 5-doors and the 124 Spider. Dedicated to a young and metropolitan public, the 500L S-Design special edition emphasizes the dynamism of the “Cool & Capable” Fiat model. Based on the Cross version, the new 500L S-Design crossover features a raised stance, sporty look, exclusive matt bronze paintwork and glossy black roof, in addition to the Myron finish accents, two-coloured 17-inch alloy rims and special sporty interiors. The most advanced connectivity with the UconnectTM 7″ HD LIVE touchscreen system, which ensures complete smartphone integration thanks to Apple CarPlay and Android AutoTMfunctionalities. Efficient petrol and diesel engines, all Euro 6/D compliant, are available. 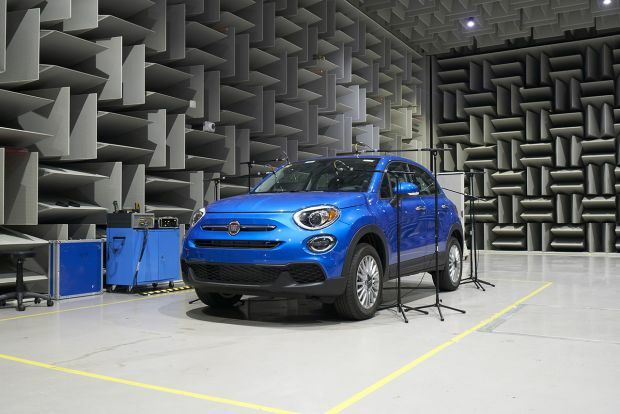 The 500L S-Design aims at consolidating the success of the model which was first launched in 2012 and which has been firmly at the top of its segment for over five years and absolute leader in Italy. Urban sportiness and distinctive style. Here comes the Fiat 500L S-Design, the new special edition that explores a new way of being “Cool & Capable” and complements the S-Design family to express instantly captivating exclusivity, dynamism and personality. Based on the Cross version, the crossover interpretation of the 500L, is designed to escape everyday routine and stands out for its unmistakable sporty appearance and complete standard equipment. Perfectly respecting the iconic nature of the Fiat 500, the new 500L S-Design is the ideal answer for young, modern families, particularly those who want to be dynamic and stay connected. The new 500L S-Design is the latest addition to the family that over the past months has carved an ample spot for itself in the sales mix of 500X, Tipo and 124 Spider. 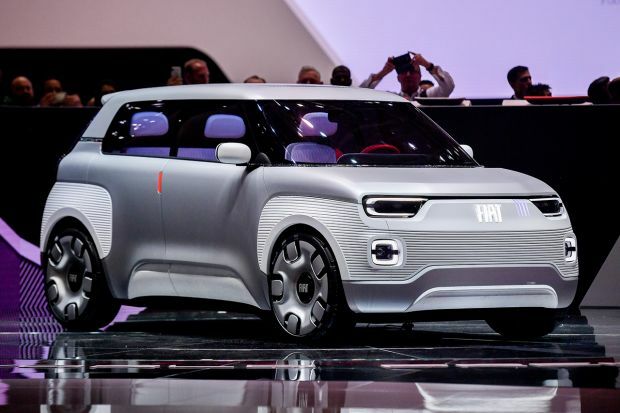 A special edition that brings together the functional and emotional worlds of the Fiat brand in one. Today is the turn of the 500L S-Design targeted in particular to men who are interested in the latest trends of fashion and technology. On the outside, the new special edition combines the Cross look and raised stance with an exclusive matt bronze livery paired with glossy black roof and captivating Myron finish accents on the moulding, door handles, mirror caps, tail lamps cluster bezel, skid plate and grille, in addition to 17-inch two-coloured glossy black and Myron alloy rims. Fog lights and rear privacy windows complete the outside look of the 500L S-Design. The same sporty mood is found inside with the matte black textured dashboard emblazoned with the “500” logo in copper and the special S-Design black fabric upholstery, distinctive traits that contribute to consolidating the success of the model. 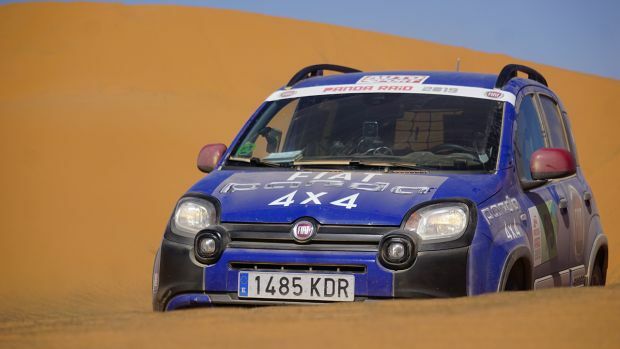 Since it was launched in 2012 and for the past five years, the 500L has been firmly at the top of its segment and is absolute leader in Italy. The 500 thousandth 500L was produced last February, a record that matches its excellent commercial performance. It is currently segment leader in Italy, Serbia and Turkey and is in the first three in Spain, France, Switzerland, Belgium, Denmark, Portugal and Greece. The bold looks of the 500L S-Design are backed up by extensive standard equipment, that includes ABS, ESP, six airbags, cruise control, multifunctional techno leather steering wheel, 3.5-inch TFT colour display, 60/40 split rear seat and LED DRL. Furthermore, the 500L S-Design offers the most advanced connectivity with the UconnectTM 7″ HD LIVE touchscreen system, which ensures complete smartphone integration as standard thanks to Apple CarPlay and Android AutoTM functionalities. Created with a young, metropolitan public in mind, the 500L S-Design stands out for its exclusive, one-of-a-kind matte Bronze livery paired with glossy black roof and alluring Myron finish accents, such as side mouldings, door handles, signature whiskers on the front, rear light cluster bezel, boot lining and mirror caps. The sporty look of the new special edition is reasserted by rear privacy windows and new 17-inch two-coloured (glossy back and Myron) alloy rims. The sporty elegant style continues inside and is expressed by a number of dark elements, including the matt black textured dashboard fascia with “500” copper colour logo. The passenger compartment is made even more distinctive by the special S-Design fabric black and Scuba upholstery sporting double stitching and copper colour “500” logo. Seats with black leather inserts that add a touch of elegance for a decisively modern and young ambiance are available on demand. 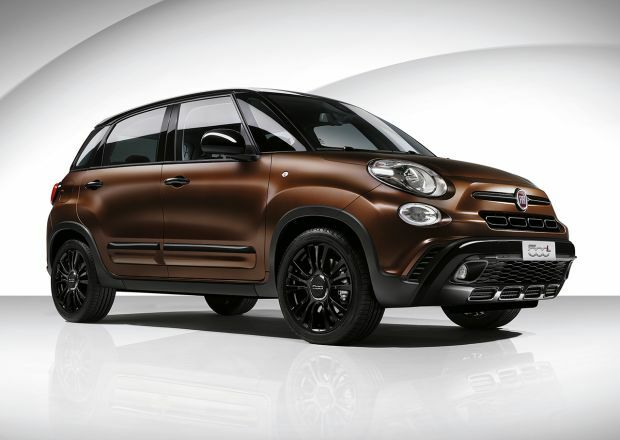 In addition to the exclusive two-coloured matt Bronze paintwork with glossy black roof, the new 500L S-Design is also available in Gelato White, Donatello Bronze, Moda Grey, Toscana Green (all of which can be paired with glossy black roof) and black. 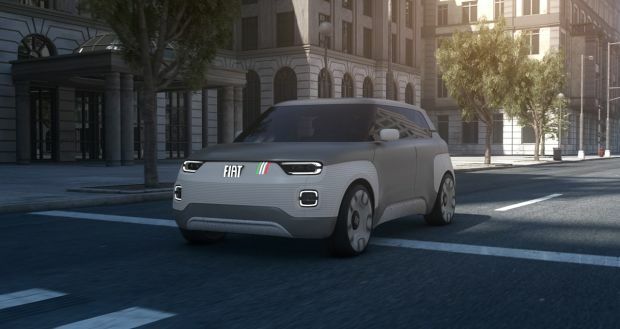 Making the smartest solutions, which simplify and improve life at the wheel, affordable for all, is perfectly in line with the mission of the Fiat brand. The new 500L S-Design is no exception, offering Uconnect 7″ HD LIVE touchscreen, which is Apple CarPlay ready and Android AutoTM compatible as standard equipment. It is the development created for customers who are very interested in connectivity and the latest trends in the field of infotainment. The innovative Mopar® Connect, which combines remote assistance services and control functions to guarantee peace of mind on the road and constant control within smartphone reach, is available on request. In detail, the next-generation UconnectTM system features high-resolution 7-inch touchscreen, Bluetooth hands-free interface, audio streaming, text reader and voice recognition function, Aux and USB ports with iPod integration and controls on the steering wheel. The redesigned reversing camera, offering remarkably sharp images and dynamic guidelines, and the integrated TomTom navigator with 3D and IQ Routes maps are available on demand. 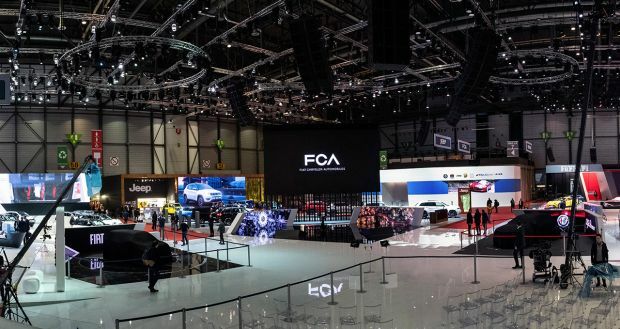 The navigation system will be always up to date, courtesy of Mopar® Map Care, the FCA service included in the purchase price of the car or of the navigator, which offers the latest map updates directly from the official websites. Furthermore, users will always be connected with the UconnectTM LIVE services. By downloading the free UconnectTM LIVE app from the App Store or Google Play Store to their smartphones, they can fully exploit the benefits of UconnectTM LIVE, which includes music streaming with Deezer and TuneIn, news from Reuters and connected navigation with TomTom LIVE, and can keep in touch with friends via Facebook Check-in and Twitter. Finally, with eco:Drive and my:Car, saving and environment-friendly running will be constantly under control, wherever the customer wants to go. The most special feature of the UconnectTM system is the integration of Apple CarPlay – the smartest and safest way to use an iPhone while driving – and compatibility with Android AutoTM, to enjoy all the functions of Google. Apple CarPlay also works with other apps on your iPhone, such as like your favourite audio, messaging, and voice apps. CarPlay features Siri voice control and is specially designed for driving scenarios. The driver can use Google MapsTM to obtain route guidance and easily access music, multimedia contents and their favourite messaging apps. Easy, immediate interaction with devices guarantees the convenience of maintaining the same operating system even in the car, for constantly connected and safe driving, resulting in great quality of life on-board as well as improved ergonomics. Compliant with the more restrictive limits set for in the Euro 6/D standard, the engine range available for the Fiat 500L S-Design features the 95 HP 1.4-litre Fire petrol engine with 6-speed manual transmission, the 95 HP 1.3-litre MultiJet II turbodiesel with manual or Dualogic robotised transmission or the 120 HP 1.6 MultiJet paired with manual transmission. More in detail, the 95 HP 1.4-litre Fire implements updated software equipping it to respect the new limits, while the refreshed diesel versions fit a new system which integrates SCR (Selective Catalytic Reduction) with AdBlue* injection to abate nitrogen (NOx) emissions and DPF (Diesel Particulate Filter) to trap and reduce particulate matter all in a single solution. This means that the engine achieves the highest eco-compatibility level offered on the market today for diesel systems without compromising performance. The power and torque curves confirm the excellence of the MultiJet II family, which expresses the trademark optimal torque at low rpm also on this most recent configuration. The 1.3-litre MultiJet II delivers 95 HP and a peak torque of no less than 200 Nm at 1500 rpm, while the 1.6-litre MutliJet II delivers 120 HP and a peak torque of 320 Nm at just 1750 rpm. *AdBlue® is a solution of 32.5% high-purity urea and 67.5% demineralised water.